Accessories for Vineyards is able to manufacture Threaded U-Bolts that could satisfy the Winegrowing's Demand. Our U-bolts can be used in other sectors as well. 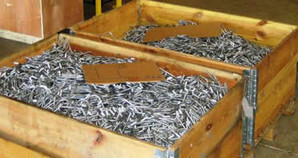 For Example, we sell our U-bolts in the Building Sector especially for Tube Clamping. 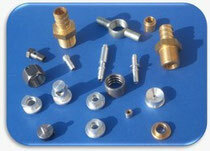 Our Round Section and Square Section U-Bolts are also used in the Thermo Hidraulic Sector and in the Industry. Our Tube Fixing Clamps are manufactured with wire M6 and M8. Our Wire has got warranty under bad weather conditions. LOOK AT OUR TUBE FIXING CLAMPS ! Experts on Assembling, Bending, Welding, Bevel, Technical Turing of Metallic components! Our company is able to offer all the mechanical operations for your components! quotations and delivery! Free Estimates!